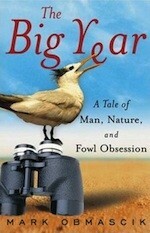 Book Overview: This nonfiction account follows three avid birders in 1998, all of whom are trying to set the record for most different species spotted in North America in one calendar year. Obmascik’s intriguing character studies brilliantly get inside the mindset of “extreme collecting.” But the narrative has trouble finding shape at times, leading to something more compelling as a collection of individual details than a great whole. Reason for Adaptation Optimism: Strangely intriguing combination of Steve Martin, Owen Wilson and Jack Black as the three protagonists. Reason for Adaptation Concern: Director David Frankel (Marley & Me, The Devil Wears Prada) suggests a tone more conventionally quirky than truly eccentric. 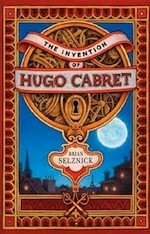 Book Overview: In 1931 Paris, an orphaned boy tries to complete his father’s work on the mysterious automaton they found in a museum. Selznick’s vibrant combination of conventional novel and graphic novel provides a rich cinematic texture, perfect for a story that delves into film history. It evokes the same dream-like magic as the still-innocent world it portrays. Reason for Adaptation Optimism: Fascinating prospect of first family film from director Martin Scorsese. Reason for Adaptation Concern: Anyone else do a spit-take when they saw “family film from director Martin Scorsese”? 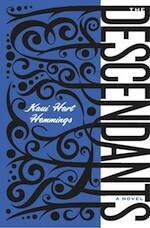 Book Overview: In contemporary Hawaii, an attorney faces dual life-changing events: selling off inherited family property, and raising his two daughters after his wife is critically injured. And he also discovers she’s been having an affair. While it easily could have turned into a “learning what really matters” story about a man forced to re-engage with his kids, Hemmings maintains an offbeat tone that makes for both engaging character study and a uniquely vivid sense of place. Reason for Adaptation Optimism: Writer/director Alexander Payne’s (Election, Sideways) great track record with adapting novels. Reason for Adaptation Concern: Trailer inspires concern that it may head in exactly that “learning what really matters” direction. 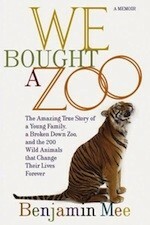 Book Overview: Freelance journalist Mee’s memoir describes how his family takes over a struggling animal park in the English countryside, while Mee also deals with his wife’s diagnosis with a brain tumor. Despite the struggle-with-cancer subplot, Mee never wallows in pathos, providing a lively story of the complex logistics of managing even a small zoo. For what is, in some ways, essentially a tutorial on putting together a business plan for a zoo, it’s a surprisingly funny and eventful narrative. Reason for Adaptation Optimism: Great cast including Matt Damon, Scarlet Johansson and Elle Fanning may bypass overt sentimentality. Reason for Adaptation Concern: The last time writer/director Cameron Crowe worked from existing material, the result was Vanilla Sky. 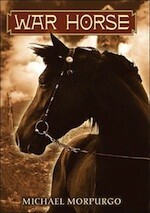 Book Overview: Joey—beloved horse of a young boy—becomes a British army cavalry horse in World War I France. When battle separates Joey from the troops, he wonders if he’ll ever make it home again. Yes, it’s Joey who does the first-person (first-horse?) wondering. The device feels right for what is essentially an equine variation on a boy-and-his-dog tale, but there’s also a dark edge to the thematic material here that often clashes with the simple language of a book aimed at young readers. Reason for Adaptation Optimism: Director Steven Spielberg knows a thing or two about both war stories and boy-and-his-(fill in the blank) stories. Reason for Adaptation Concern: Seriously, it’s told by a horse.